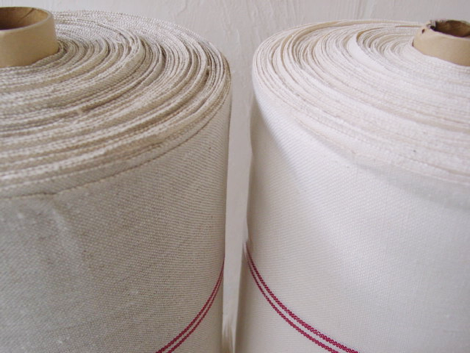 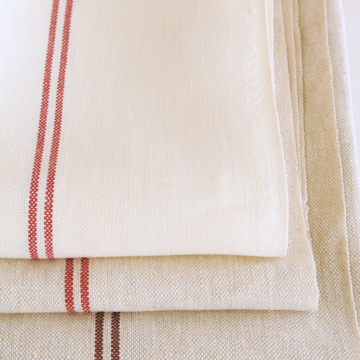 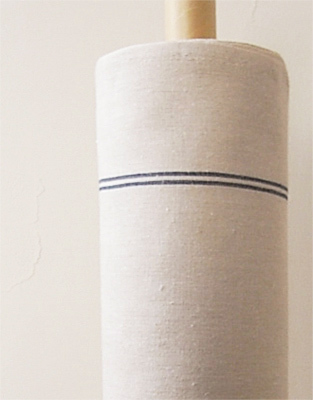 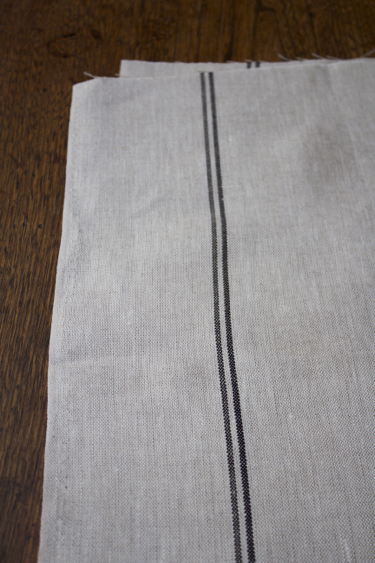 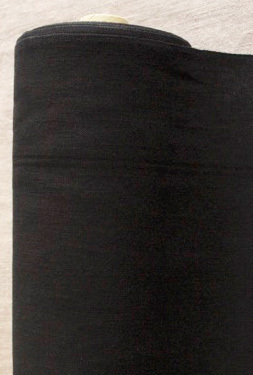 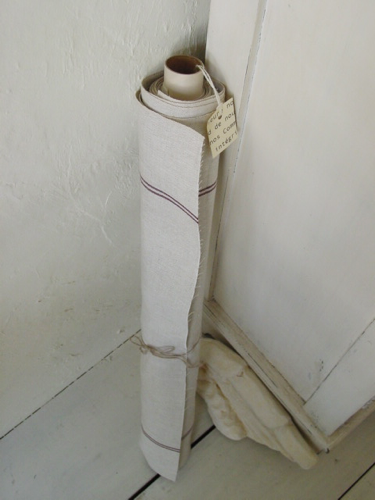 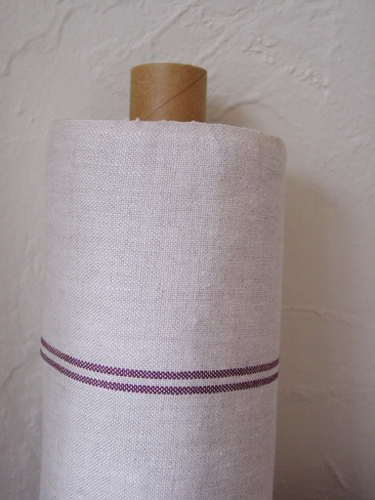 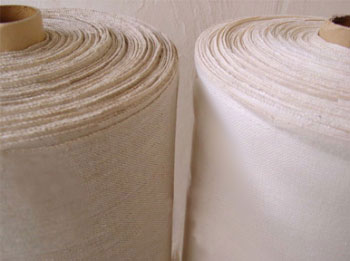 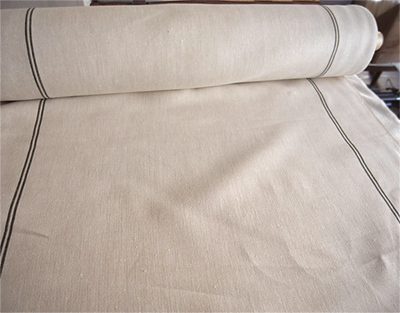 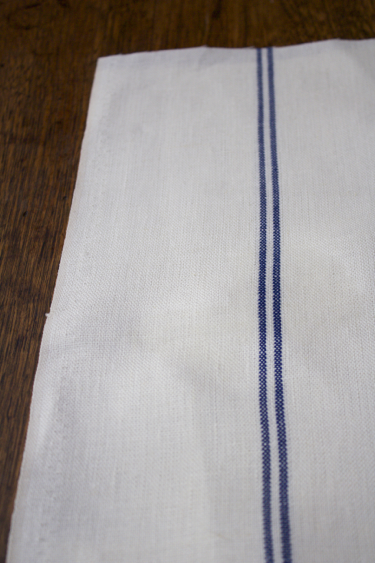 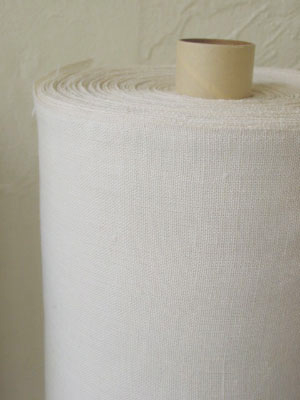 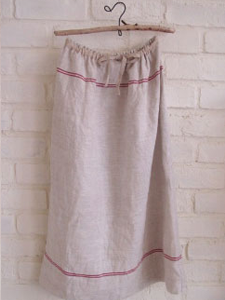 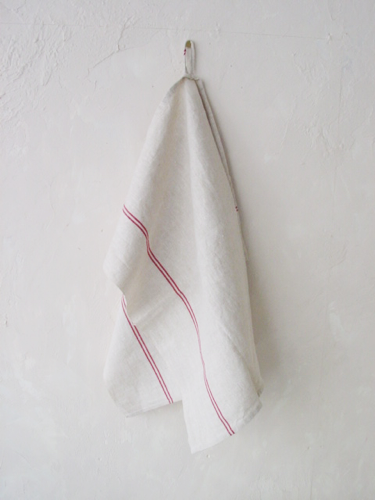 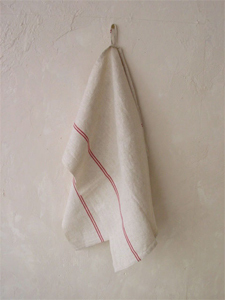 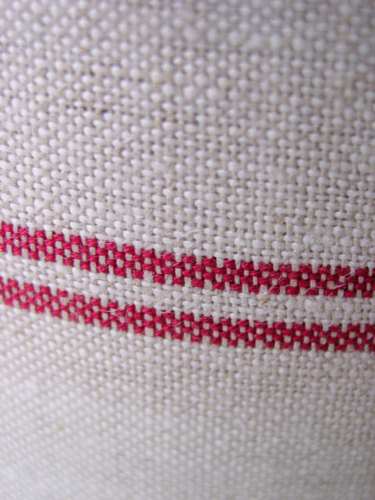 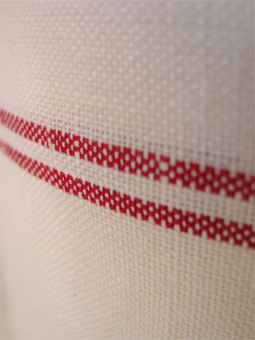 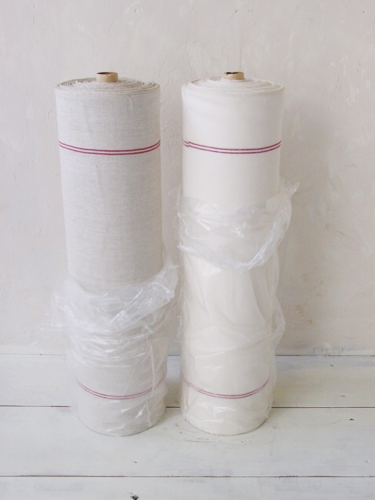 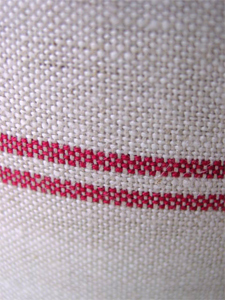 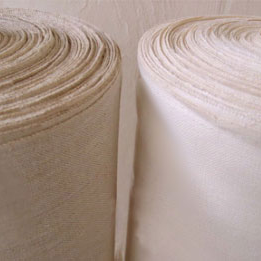 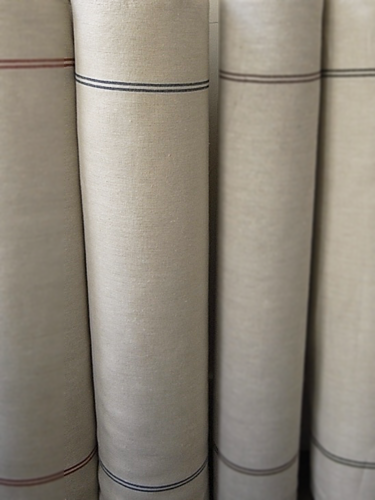 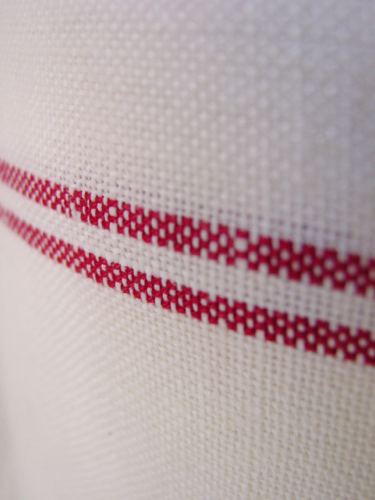 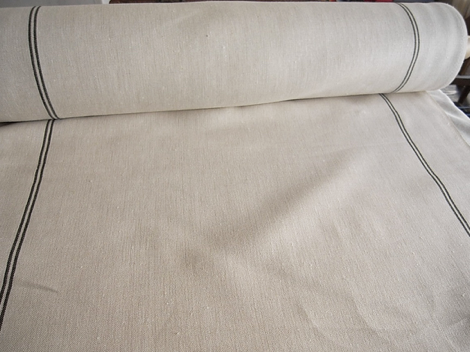 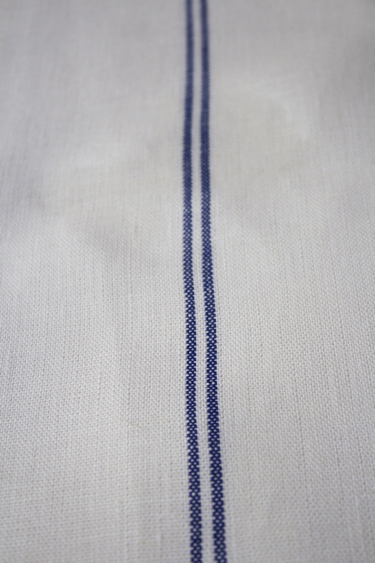 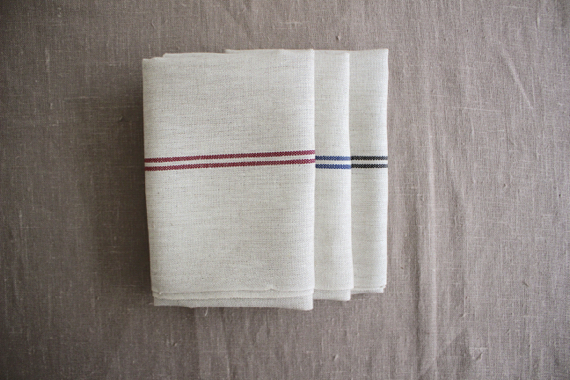 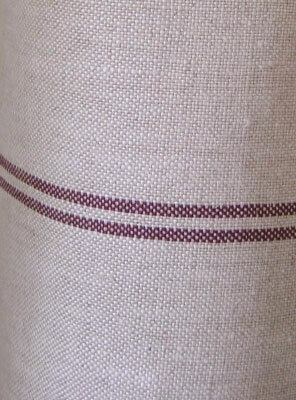 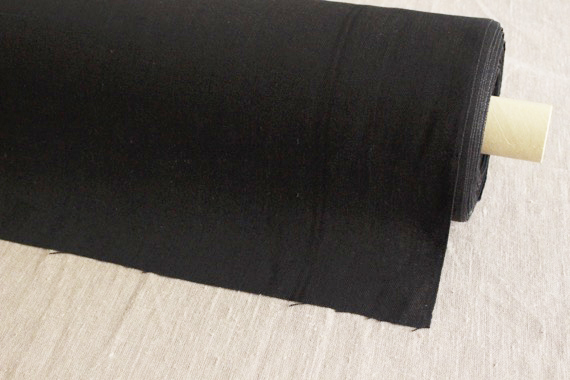 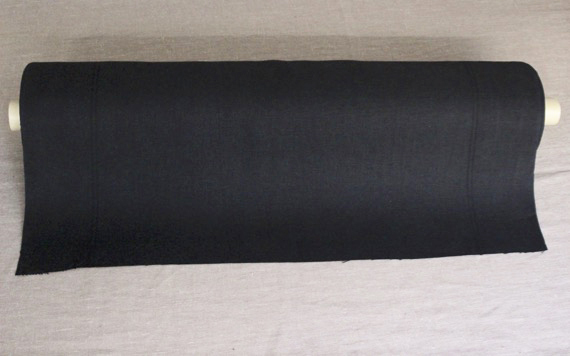 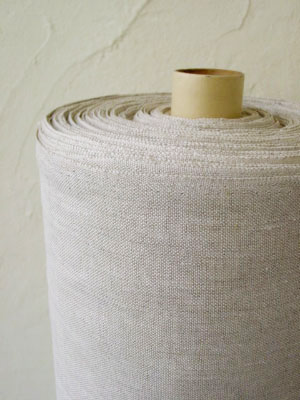 Plain weave Linen Towel cloth. 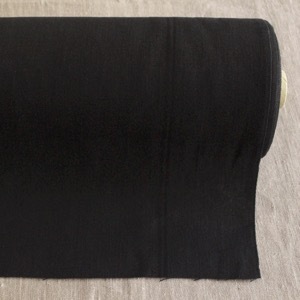 Black on black 2 lines. 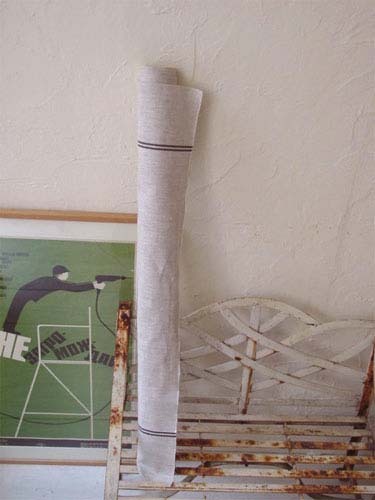 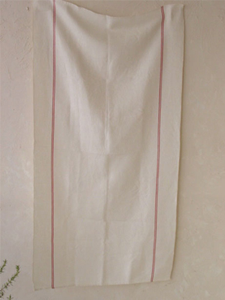 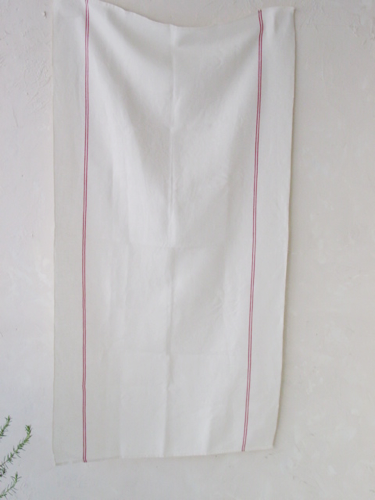 Woven in Japan with yarns from Italy.Soft in touch and thick enough as bath towel not only as kitchen towel.You can make bath towel sewing both edges with 130cm cut and kitchen towel with 50cm cut.Also you can make a simple skirt, bags, table centers and so on. 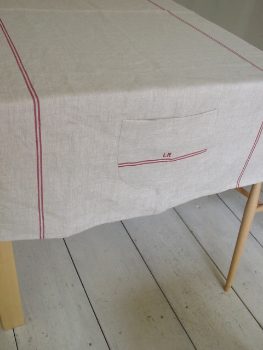 ←you can make a table center with pocket, which is useful to put towels etc in, can go nicely with small kids and babies.If you'd like to have a pattern of the pocket, please let us know via message space in shopping cart. 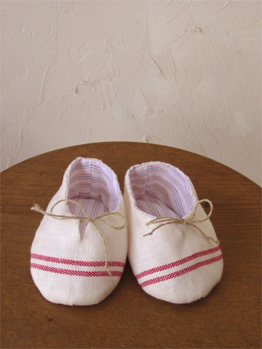 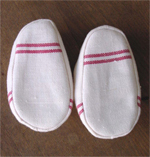 Patterns for 2 variations of Slippers and baby slippers size 10cm. 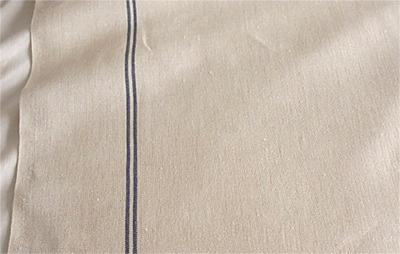 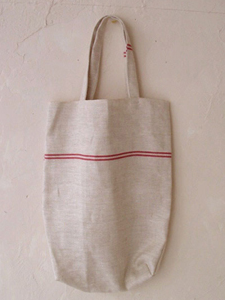 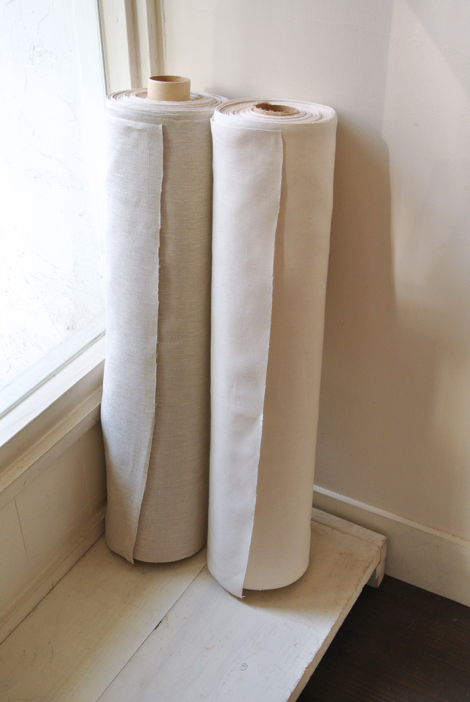 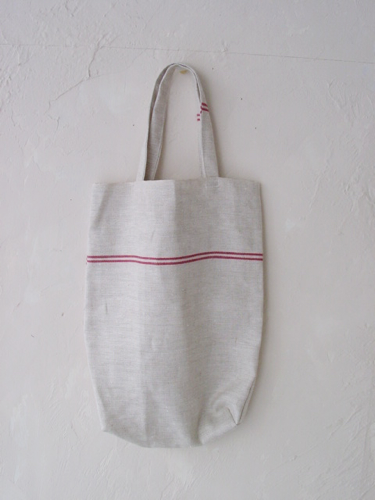 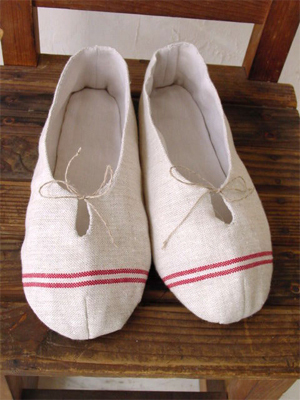 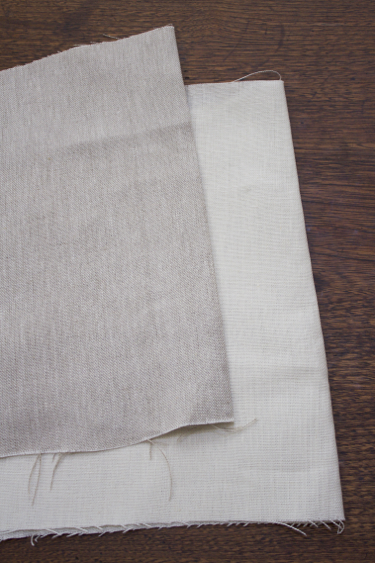 white×flax natural Oyster color,plain fabric.